We've been meaning to for a while, so we're glad that we finally got some time to strip away all the music behind our WCMA nominated album "The Basement Tapes vol.1" and let you guys mess around with the vocals. Recreate the music, throw one of our verses into your uncle's new Storage Wars themed hip-hop album, whatever. Get weird. 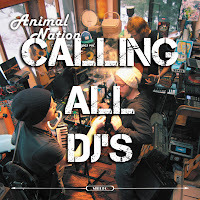 Send the finished products to theanimalnation [at] gmail.com and we'll listen to them a bunch, and if they're dope we'll show all our friends.